I’ve been reading a lot about cyberbullying in preparation for Tuesday night’s panel discussion. Here’s a quick link dump of a sampling of the better articles. * White House Ready to Rumble With Cyberbullies: President Obama takes a strong stance against cyberbullying at a White House Bullying Prevention summit. But according to a new survey released Wednesday, the issue simply isn’t getting enough attention. 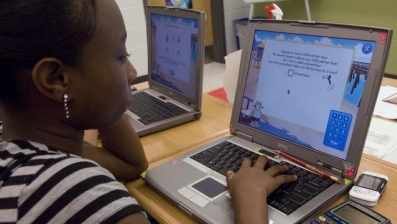 The report, released by the National Cyber Security Alliance in collaboration with Microsoft, claims that just 26 percent of K-12 teachers surveyed have taught kids how to handle cyberbullying, versus 15 percent who have spoken to students about hate speech online. One factor that has been linked to suicidal ideation is experience with bullying. That is, youth who are bullied, or who bully others, are at an elevated risk for suicidal thoughts, attempts, and completed suicides. The reality of these links has been strengthened through research showing how experience with peer harassment (most often as a target but also as a perpetrator) contributes to depression, decreased self-worth, hopelessness, and loneliness — all of which are precursors to suicidal thoughts and behavior. It is unclear exactly how prevalent cyberbullying is. However, some statistics suggest that anywhere from 10 to 40 percent of youth in the United States encounter the phenomenon, although this figure varies depending on age. Since cyberbullying can be done by computers, cell phones and other devices, and since these devices are widely owned, the means to cyberbully are easily accessible. * Cyberbullying an Epidemic, writes Jennifer Dudley-Nicholson. The Australian study of more than 1000 parents found that 87 per cent of children aged between four and 16 own or have access to a mobile phone and 66 per cent take their mobile phones to school at least some of the time. Van Vugt said this access to technology needed to be better managed. “All children have the capacity to behave badly, especially if they don’t understand the impact of their behaviour,” she added. * Tips to Fight Against Cyberbullies by Kenneth Butler, who consulted with Nancy Willard (Center for Safe and Responsible Internet Use), Parry Aftab, author of A Parent’s Guide to the Internet, and Anne Collier, executive director, NetFamilyNews.org. For social networking and online etiquette, the popular saying “What goes around comes around” is as valuable as knowing when to use a frowning smiley or a winking one. When chatting, posting messages, or sending e-mails, it’s always a good idea for young web users to be “mindful of their digital footprint,” said Nancy Willard, director of the Center for Safe and Responsible Internet Use. In other words: “Don’t engage in unkind or hurtful actions online because the person you really hurt will be yourself.” That includes being the instigator of online spats as well as retaliating in them. Too much combative behavior could lead to a bad reputation online, and it could damage relationships with peers both in front of and away from the computer screen. * Jostens Launches a “Pause Before You Post” program. * Who will be able to see what I post? * Will anyone be embarrassed or hurt by it? * Am I proud of what I’m posting? * How I would feel if someone posted it about me? * What are the warning signs? What can parents do? What can educators do? 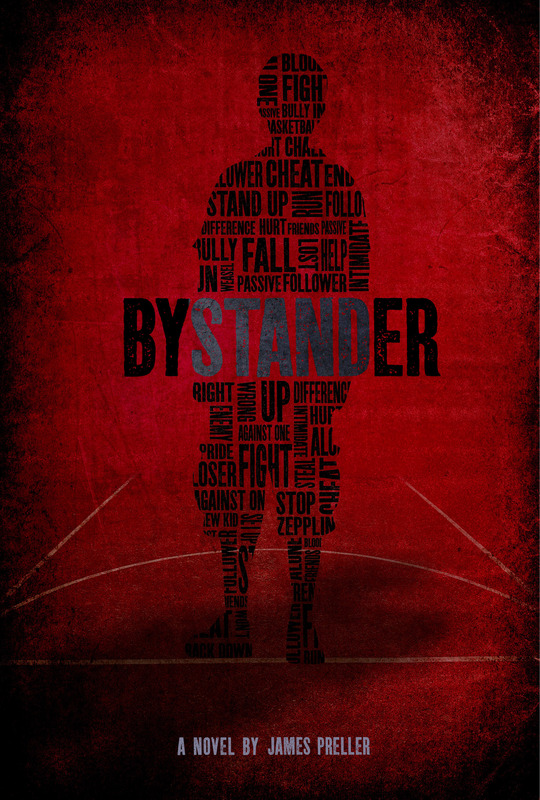 Here’s a great resource: StopBullying.Gov. There are many warning signs that could indicate that someone is involved in bullying, either by bullying others or by being bullied. However, these warning signs may indicate other issues or problems, as well. If you are a parent or educator, learn more about talking to someone about bullying. * A Yorktown mother, Taryn Grimes-Herbert, provides a list of bully-proofing ideas that “really worked” for her family. Over the past few years, I’ve spoken to many educators, parents and kids who’ve had to learn this very difficult lesson: We cannot change the behavior of others. We can only choose how to respond to it, and how we respond to it reveals our character. * Mahwah Police Chief James Batelli promotes new software which allows parents to monitor their children’s online activity. * States look to pass bills that make cyberbullying a crime. State senator Linda Chesterfield (D-Little Rock) is now pushing SB214. “It was the news of so many children committing suicide who had been bullied via the internet so as a former educator it resonated with me that we’ve got to do something,” Chesterfield says. The one page legislation would establish the crime of “cyber bullying” in Arkansas. “This is an acknowledgement that in this day and time with technology the way it is, that people are able to use other means and sometimes hide their hands when they throw the rocks,” Chesterfield says. The bill says someone commits cyber-bullying if they electronically communicate with someone with the purpose of harrassing or intimidating, whether by cell phone or on-line. * Another great resource: The Cyberbullying Research Center. If you only have time to read one of our documents to get up-to-speed about the problem and what you can do, read this one! Cyberbullying: Identification, Prevention, and Response. * Olweus Bullying Prevention program adds new focus on character. Now two Pennsylvania districts — Mt. Lebanon and Penn Hills — are piloting an enhancement to the program that includes a character education component aimed at turning students into good citizens and empathetic colleagues who will be less likely to engage in bullying behavior. * Lastly, more and more schools are featuring this well-reviewed book for a “One Book, One School” program.